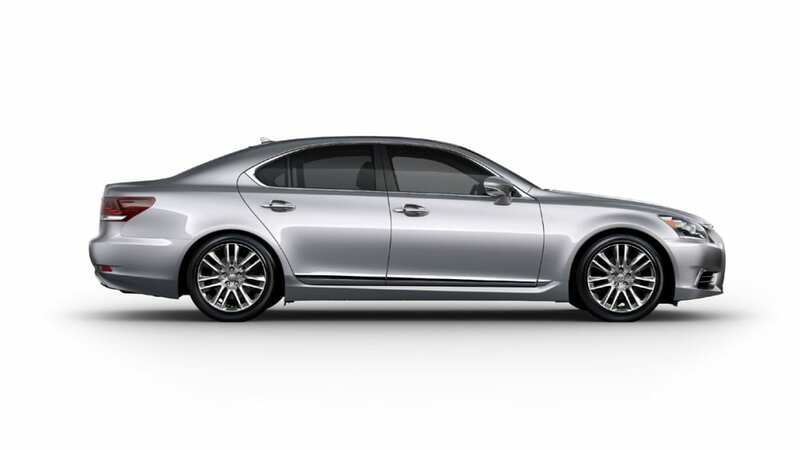 It's been leak city for the 2013 Lexus LS line, allowing us to catch the exteriors of the LS 460 L and LS 460 F Sport from practically every angle. The spindle grille might be the most prominent story of the refreshed LS – otherwise there are no monumental changes to the body, but plenty of details did decide to wait for the Lexus luxury flagship's official unveiling in San Francisco. 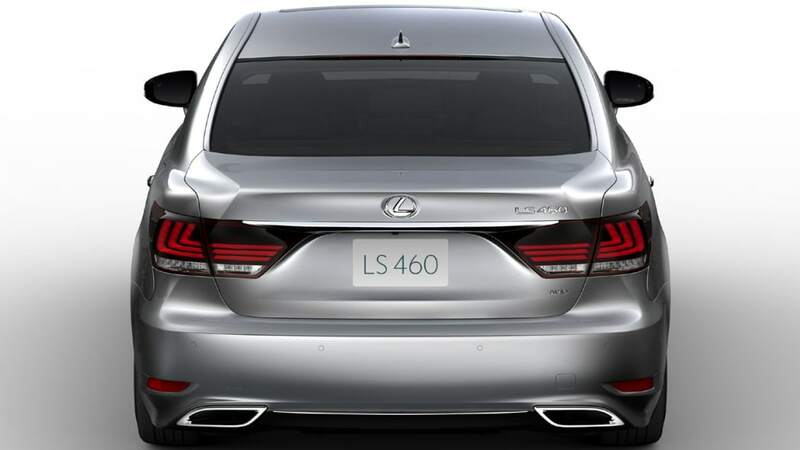 As we've stated, there are now four flavors of LS from which to choose: the LS 460, LS 460 L, LS 460 F Sport in either or rear- or all-wheel drive and the AWD LS 600hL hybrid. All of them are more rigid thanks to additional body reinforcements and laser screw welding. 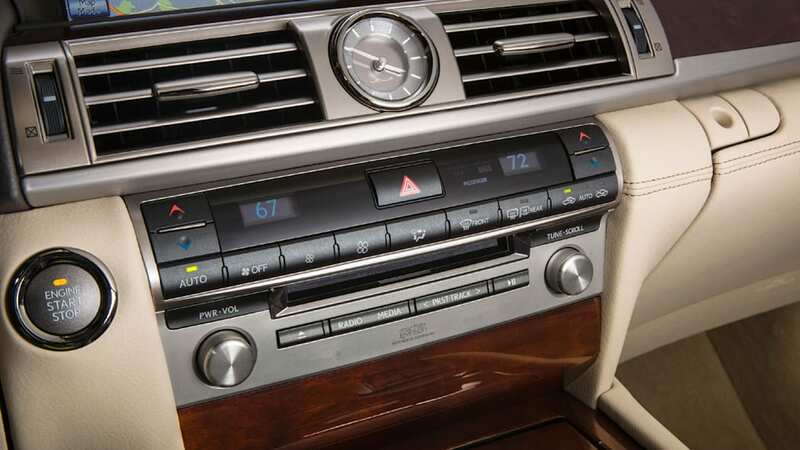 Inside, a 12.3-inch nav screen with split-screen capability immediately gets the eye's attention, and surrounding it is something we've not yet encountered in the LS: what Lexus calls "a driver-focused interior." 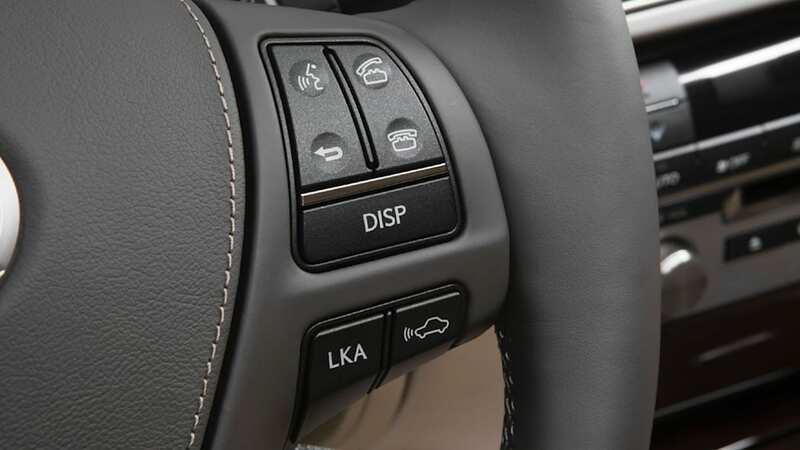 The Remote Touch system places the 'mouse' controller next to the shift level, and in conjunction with steering-wheel controls can operate many of the car's features, and up to five driving modes are possible if buyers choose the optional air suspension. Shock absorbers have been redesigned to improve pitch and bounce control, the variable ratio steering is said to improve accuracy and turn-in and the brakes have been adjusted to provide better power and pedal feel. 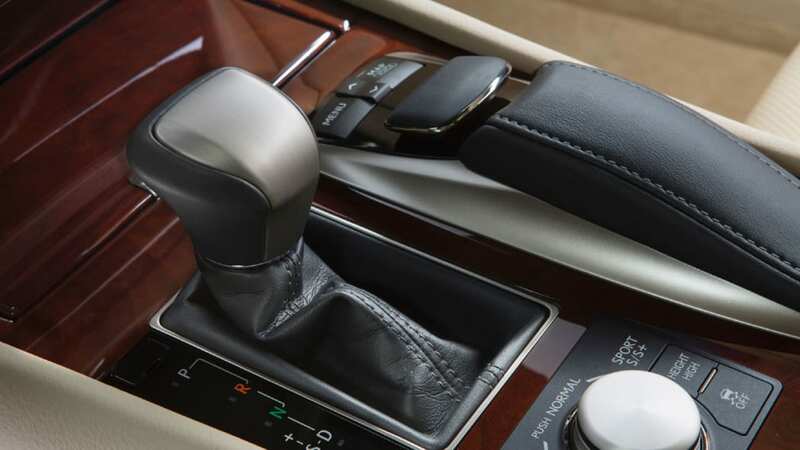 Passengers haven't been left out of the pampering, with the Lexus Climate Concierge controlling the ambient temperature, seat temperature and steering wheel temperature to comfort each occupant individually. Safety gets a boost with an available new Blind Spot Monitor, in operation from 10 mph and part of a system that can detect crossing traffic behind the car when reversing out of a spot. Convenience takes a step up with redesigned seats, more sound insulation "for an even quieter cabin," which we weren't sure was even possible, noise-reducing wheels, and an optional Ottoman Seating Package with Shiatsu Massage, because, well, why not. 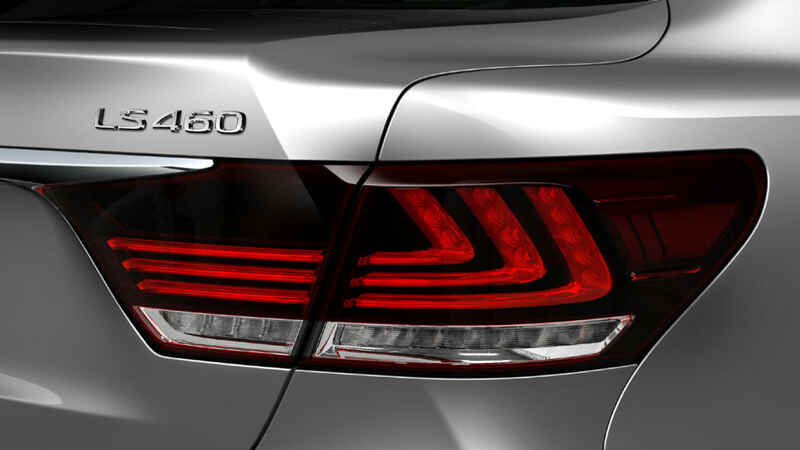 The LS 460 F Sport is the halo range topper meant to give the whole line some additional cachet. Its F Sport tweaks outside and underneath include being lowered by almost half an inch, a sport-minded tune for the air suspension, 19-inch forged wheels hiding Brembo six-pot calipers up front, and a Torsen limited-slip differential on the RWD model. Inside it gets heavily bolstered seats, paddle shifters and aluminum trim. While we're waiting for official pricing, there are more details in the press release below and three galleries with high-res views of every nook and cranny. San Francisco, Calif. – July 30, 2012 - With its dynamic handling, bold new design and superior craftsmanship, the 2013 LS flagship models hail the future of the Lexus brand as it embarks on its third decade in the premium luxury category. While retaining many of the qualities that have defined Lexus for more than 20 years, the LS reaches new heights with an exciting blend of beautiful design, modern refinement and advanced technology. 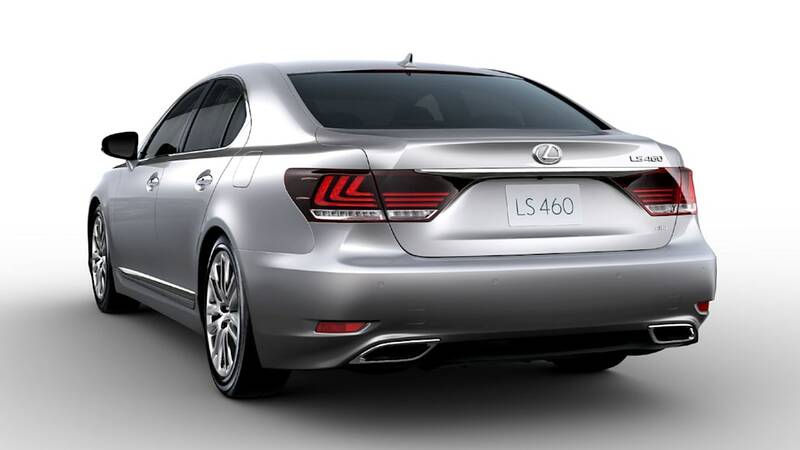 The 2013 LS line-up includes the LS 460, LS 460L, LS 600hL hybrid, and the first-ever LS 460 F SPORT. 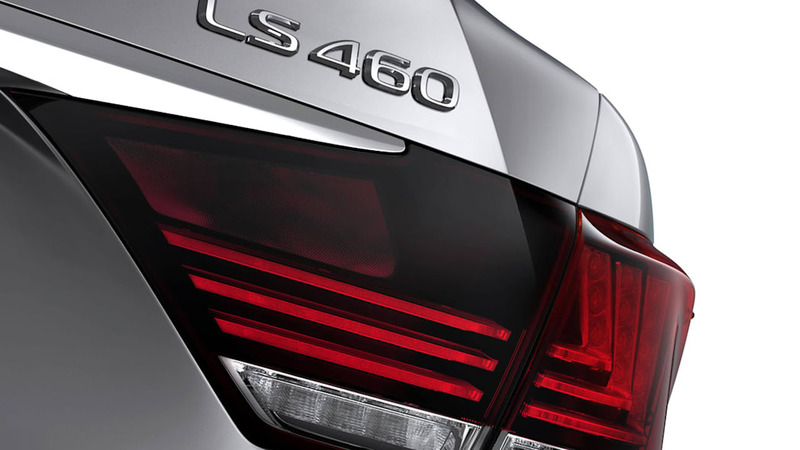 LS 460 and LS 460L are available in RWD and AWD. 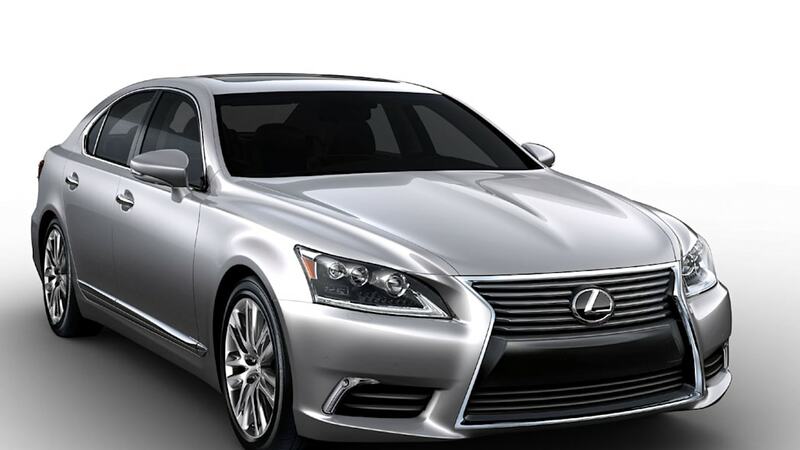 The LS Hybrid is available with a full-time AWD system. 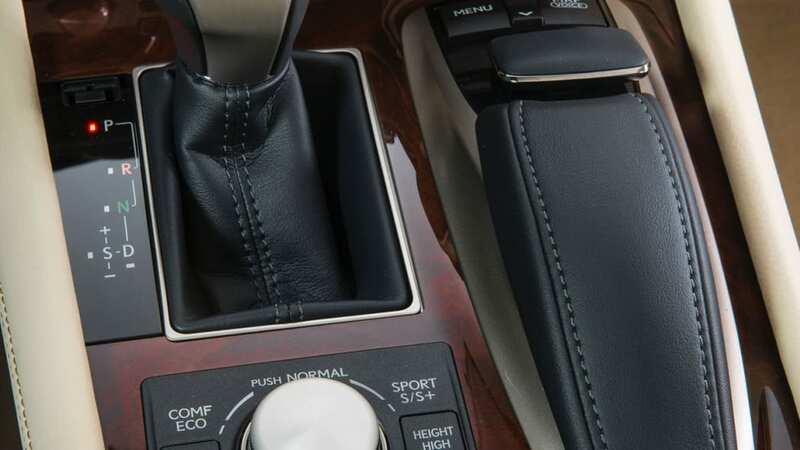 The all-new LS 460 F SPORT combines a more aggressive exterior with a unique sport interior featuring F SPORT seats with larger bolsters, a leather-wrapped steering wheel with paddle shifters and genuine aluminum trim. With a sport tuned air suspension that has been lowered 0.4 inches, a Torsen® limited slip rear differential (RWD model), Brembo six-piston caliper brakes, and 19" forged wheels with summer or all-season tires, the LS F SPORT promises to be the most engaging LS ever. 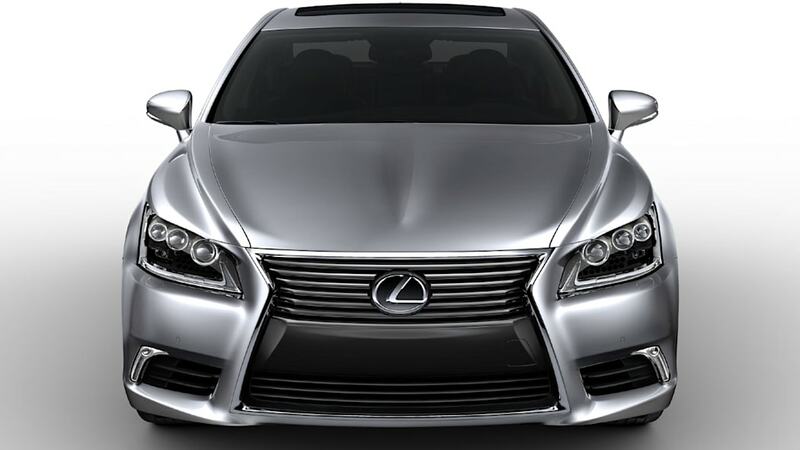 The entire 2013 LS lineup is refined with dynamic, fresh styling that reflects the bold new face of Lexus. The aggressive spindle grille gives the new LS a greater road presence and stronger brand identity while heralding a significant improvement in driving dynamics, responsiveness and handling. Increased body rigidity enhances stability, and allows for a more comfortable ride. Pitch and bounce control has been enhanced by adopting new frequency dependent shock absorbers, resulting in an even flatter, road-hugging ride. Revised steering offers improvements in accuracy and turn-in response. The braking system has been adjusted for more immediate power and greater pedal feel. Available safety enhancements include the industry's most advanced Pre-Collision Safety (A-PCS) system with Collision Avoidance Assist. This system is designed to assist the driver in avoiding or mitigating collisions with vehicles and pedestrians under a wide range of city and highway speeds. At speeds lower than 24 miles per hour, this technology helps the LS to avoid accidents by automatically bringing the LS to a full stop. The driver-focused interior integrates modern refinement with intuitive technology. 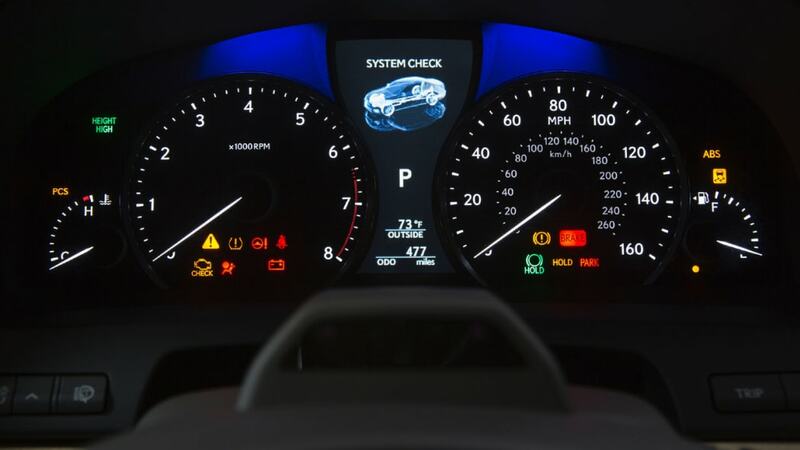 The Advanced Illumination System (AIS), an all-LED interior lighting system, illuminates to greet the approaching occupants and then fades in sequence with the vehicle starting procedure. 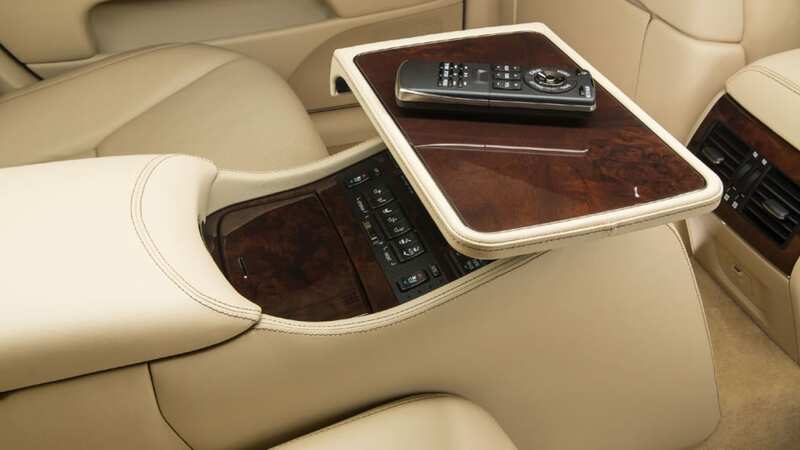 The new, available Lexus Climate Concierge offers maximum comfort for every LS occupant. 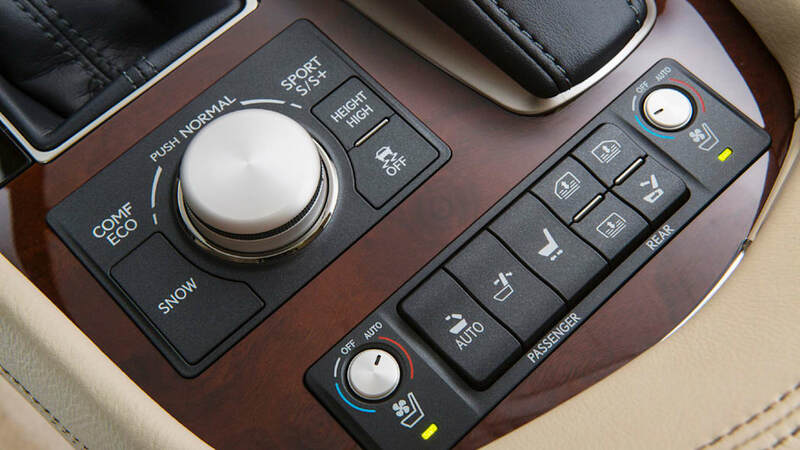 The customizable system uses multiple sensors to automatically regulate not only the temperature of the cabin, but also the climate control seats and the heated steering wheel, quickly bringing each occupant to their preferred temperature. 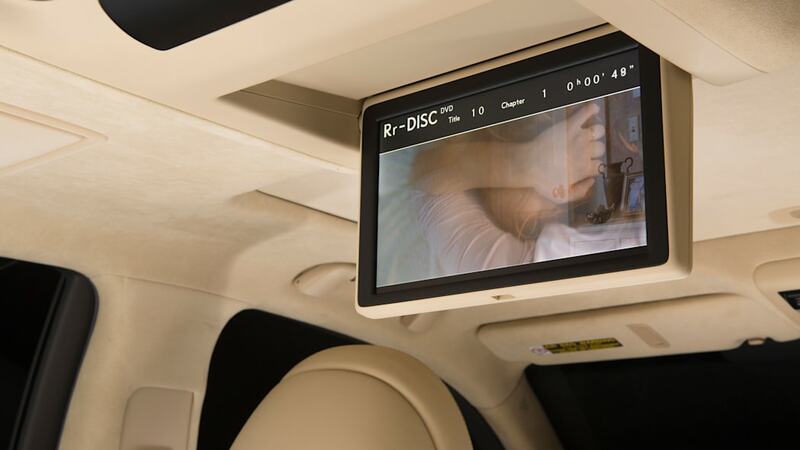 The standard navigation system is displayed on a 12.3-inch, split-screen, high-resolution multi-media display which is large enough to support simultaneous viewing of a large map display and other vehicle functions. Lexus Enform® with App Suite leverages the customers' mobile phone technology to provide a new level of connectivity and information management. Users can conduct local searches through Bing™, utilize voice-enabled apps to make restaurant reservations through OpenTable®, get movie tickets via MovieTickets.com, tap into internet radio, including Pandora® or iHeartRadio, search business reviews on Yelp and check in on Facebook places. A one-year trial subscription is included for the App Suite. • Numerous stabilizing fins help the LS to be one of the most aerodynamically efficient cars in its segment with a coefficient drag of 0.26. • Laser screw welding, body adhesives and other structural reinforcements increase rigidity and enhance stability, steering feel and handling. 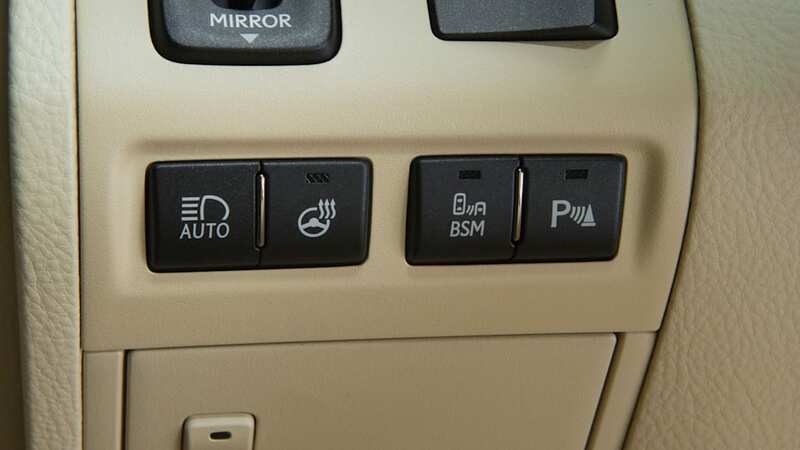 • New standard Drive Mode Select allows the driver to choose from 3 distinct drive settings (Eco, Normal and Sport). 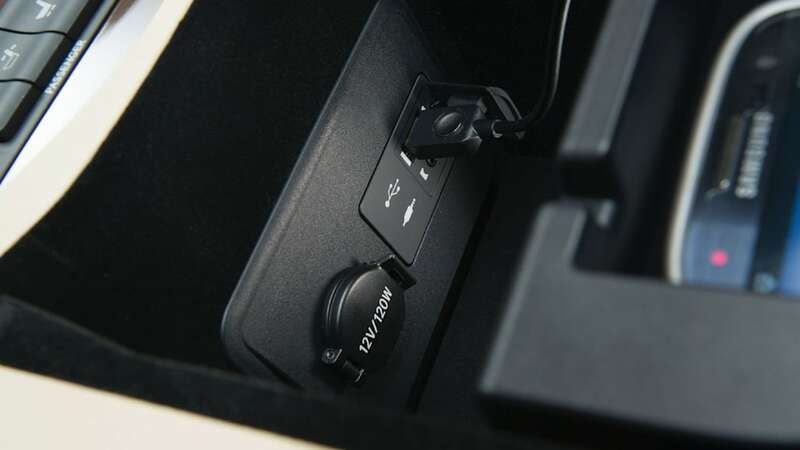 Vehicles equipped with the available air suspension add Comfort and Sport S+ modes. • The available Air Suspension with Variable Gear Ratio Steering automatically adjusts the damping force for optimal comfort and performance. • The available AWD system features a central, permanently engaged, Torsen Limited Slip center Differential (LSD) to further enhance grip, traction and cornering stability. • Noise-reduction wheels channel resonant noise from the main air chamber to adjacent hollow areas within the wheels via resonator holes, resulting in an incredibly quiet ride. • The Advanced Pre-Collision Safety system (APCS) can detect stationary pedestrians and those moving at speeds of up to three miles per hour and stop the vehicle from a speed of 24 miles per hour if a collision with another vehicle is imminent. • An upgraded, optional Lane-Keep Assist system (LKA) helps the driver stay in the intended lane. • New to LS, the Blind Spot Monitor (BSM) uses rear millimeter-wave radar to monitor the vehicle rear side blind spots at 10 miles per hour or more. 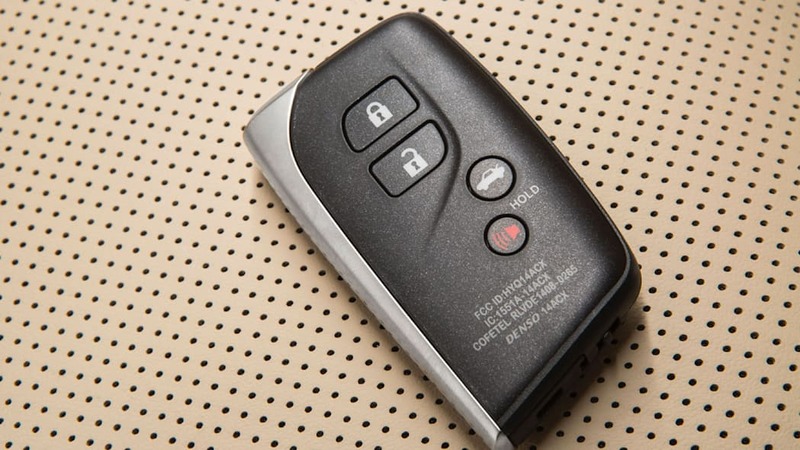 This feature includes Rear Cross Traffic Alert (RCTA) which automatically operates when the vehicle is in reverse, alerting drivers to the approach of other vehicles when backing out of a parking place. • The Available Automatic High Beam system features a camera located in the inner mirror that detects light sources in front of the vehicle - including the headlamps of oncoming vehicles, the tail lamps of a vehicle ahead and street lighting - to automatically switch the high beams on and off accordingly. • Enhancements have been made to the sound insulation for an even quieter cabin. 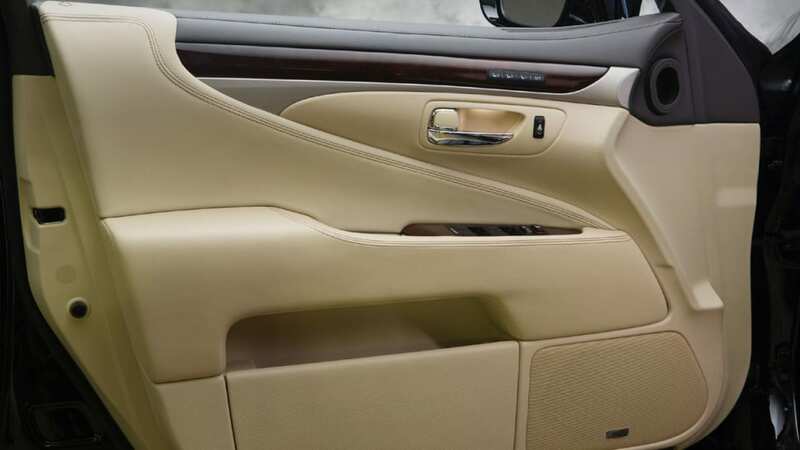 • Redesigned front seats minimize pressure peaks and increase support. 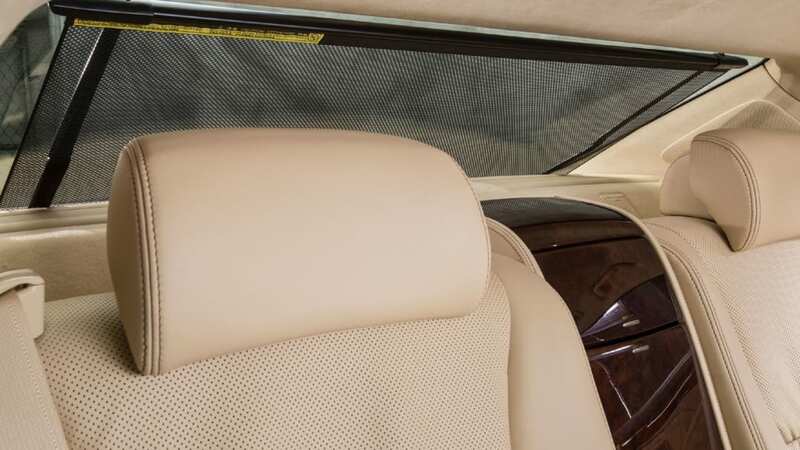 Both front seats feature an improved standard heating and cooling system with larger heating and cooling areas and reduced heating and cooling times. 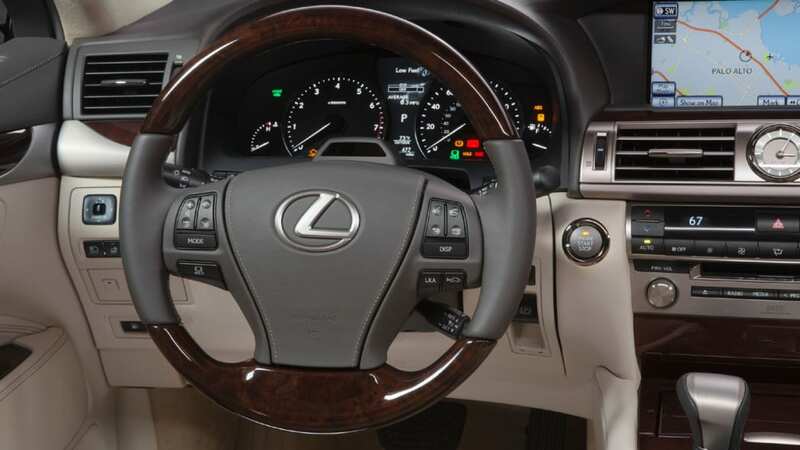 • All AWD models including the LS600hL feature a heated steering wheel and Positive Temperature Coefficient (PTC) heating elements which warm the front cabin area quickly after vehicle start-up. Windshield de-icer and headlamp washers are standard on AWD models. 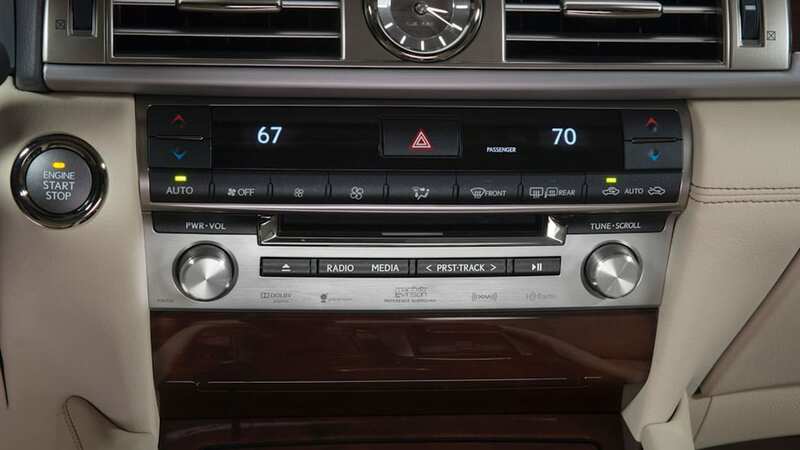 • The LS features a standard Lexus Premium Audio System with a nine channel amplifier, 10 speakers, CD / DVD player changer, DVD audio and video compatibility, MP3 sound enhancement, HD Radio™ with iTunes tagging, and a three-month trial subscription to SiriusXM™ Satellite Radio. 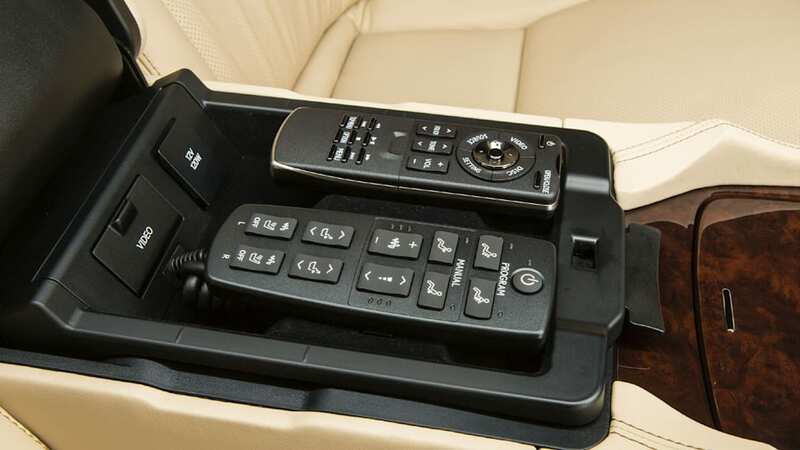 Standard entertainment and connectivity advancements include enhanced Bluetooth® capability with automatic phonebook download and streaming audio. 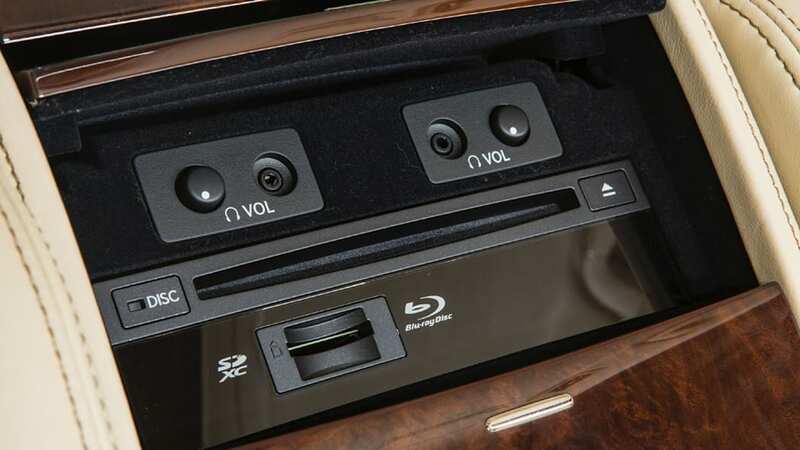 • The optional Mark Levinson Reference Surround System provides a 5.1 home theatre surround with 7.1 architecture , discrete circuitry, 15 channel, ML3-16 Processor Power Amplifier covering a frequency range of 20Hz-20kHz, and 450 watts with less than 0.1% Total Harmonic Distortion (THD). 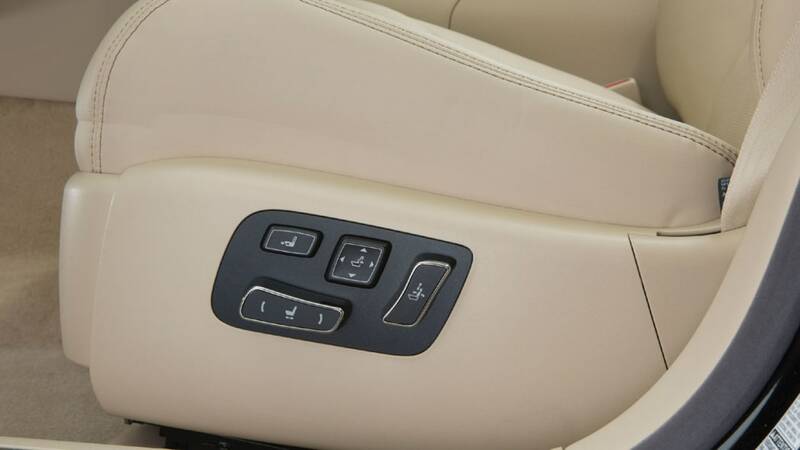 • Available Power rear seats with Climate Concierge. 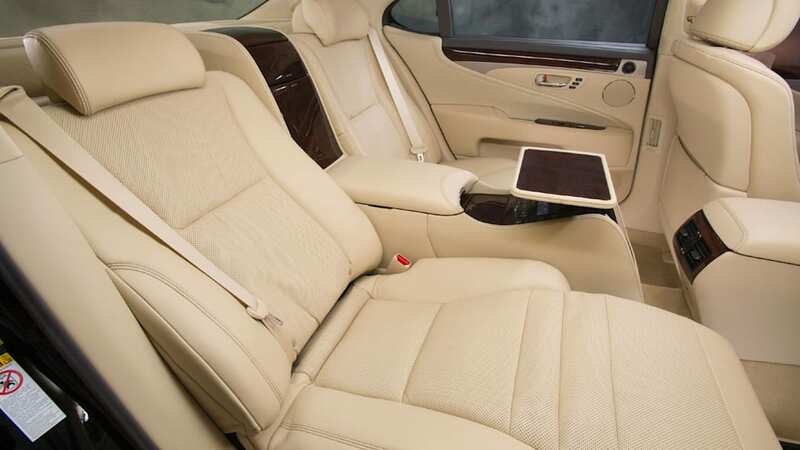 • An available Ottoman Seating Package with Shiatsu Massage and a Rear Seat Entertainment System featuring a Blu-ray DVD player, an SD card slot and a retractable, ceiling mounted, nine-inch full-color VGA screen. 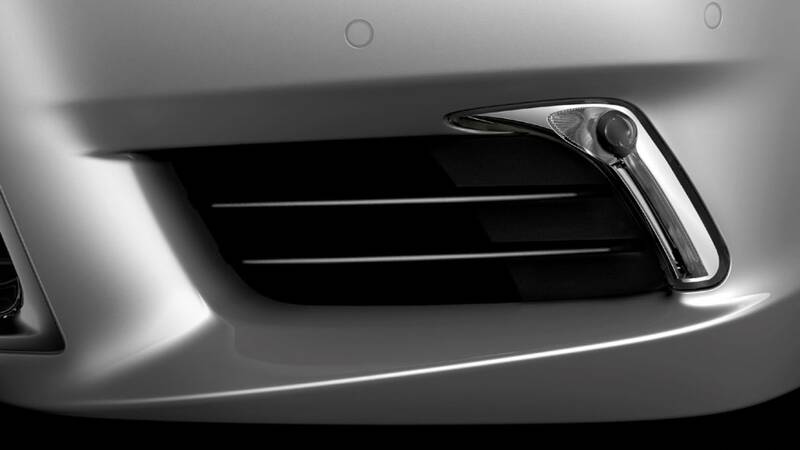 • The inverted trapezoidal upper grille and slanted lower grille that were first introduced on the GS sedan have been combined and integrated into a single element on the LS to create a more prominent spindle shape. 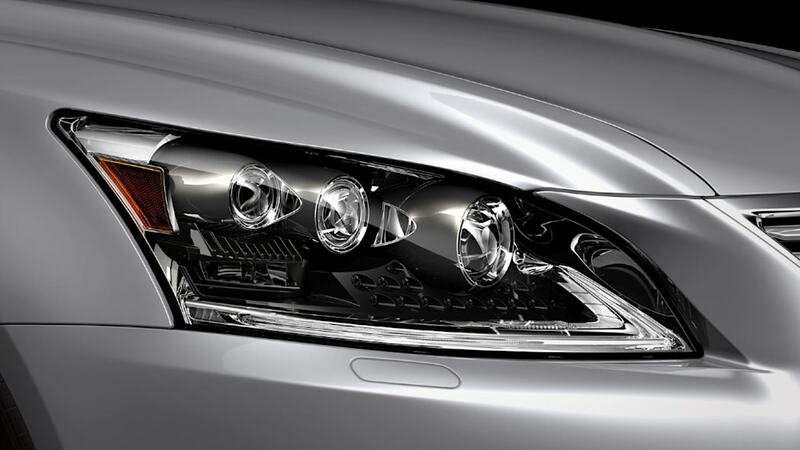 • LS 460 F SPORT features a unique front fascia with an enhanced three-dimensional mesh grille, larger cooling openings, black grille surround, and round fog lamps. A chrome-plated bar running along the bottom edge of the rear bumper accentuates the lowered center of gravity. F SPORT exterior badging completes the look. • LS F SPORT offers six exterior colors; Ultra White is exclusive to F SPORT. • The dashboard is divided into two distinct zones: an upper Display Zone, with the large, 12.3-inch, LCD multi-display screen, and a lower Operation Zone, which allows access to system controls such as the second generation Remote Touch Interface (RTI). 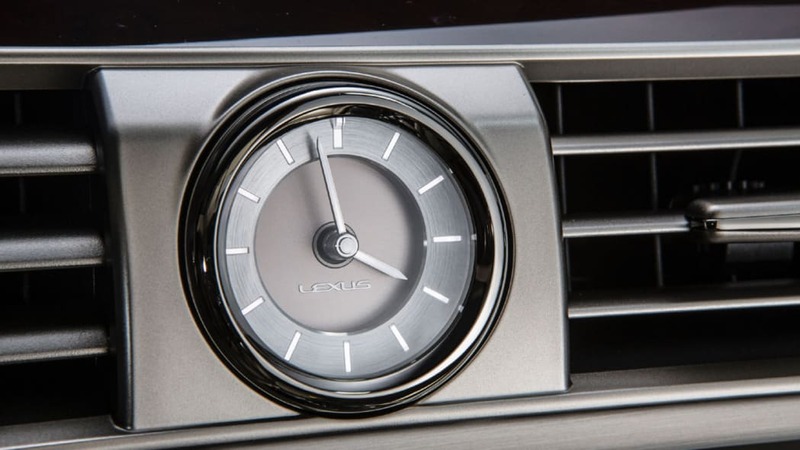 • The driver's instrument meter cluster incorporates high-visibility, large diameter Optitron dials; a 5.8-inch Thin Film Transistor (TFT) Multi-information screen; and an aluminum analog clock with a GPS-based time correction function. 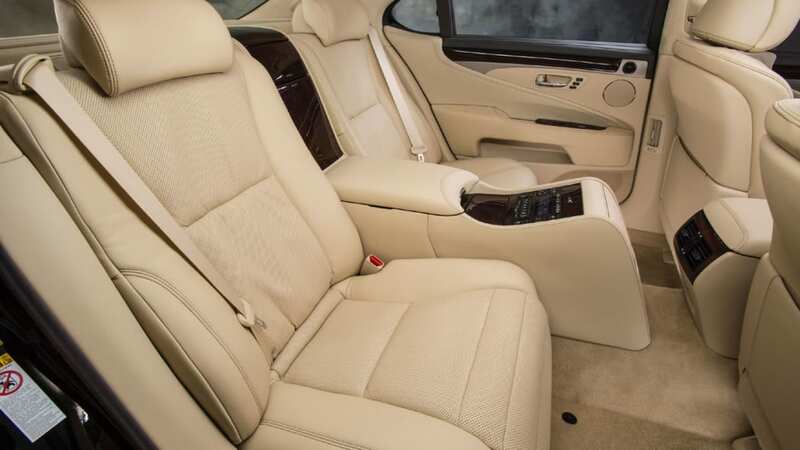 • The interior is offered in 5 color schemes: Ivory, Light Gray, Black, Black and Saddle Tan, and a newly available Topaz Brown. • Optional wood includes Walnut, Shimamoku Espresso, Matte Brown Bird's Eye Maple. 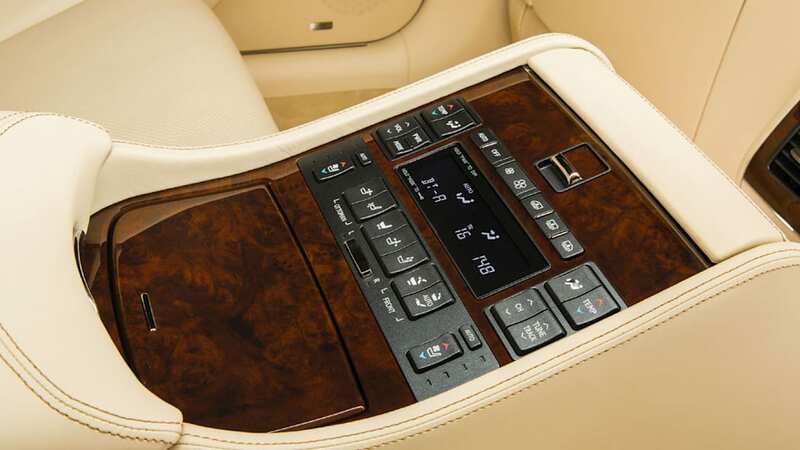 The LS 600h L also offers an eco- friendly Bamboo wood trim. • The new, Shimamoku finish is an example of the finest traditional Japanese craftsmanship. Shimamoku, translated as "striped wood," involves the painstaking layering of angle-cut dark and light shaded wood veneers in a unique process which involves 67 manufacturing steps over the course of 38 days. 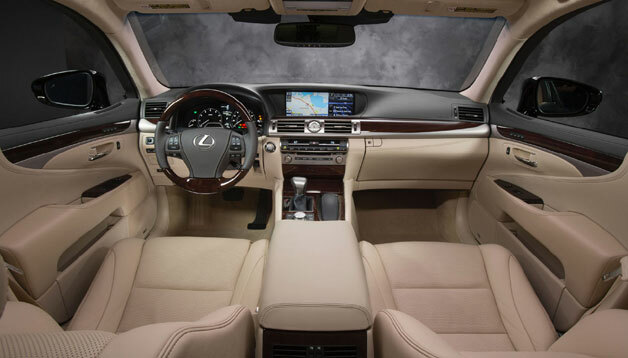 • The LS 460 F SPORT features aluminum ornamentation and a unique interior, featuring a black Alcantara headliner. • 48-month/50,000-mile basic limited warranty with roadside assistance for 48 months/unlimited miles.